FOLLOWING the footsteps of a sibling doesn't necessarily have to be a bad thing. 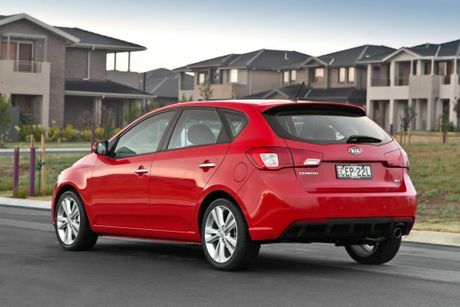 Forget the likes of Kylie and Dannii, when it comes to the Kia Cerato the hatch can ably fill the shoes of its sedan brethren. And that is a good thing. The sedan arrived in April this year with much-improved dynamics along with an Australian-specific tune better suited to the challenges of our roads. The hatch has just arrived and it's more of the same in terms of pricing and performance. Starting from $19,990, the three-tier line-up mirrors the sedan and is a vital addition to Kia's line-up as it jostles to try an achieve its aim of total market share of 5%. One in four new Australian cars sold comes from the small-car segment, and of that number about 60% are hatches. If Kia wants to make its presence felt a lot rides on the Cerato's shoulders - luckily they are broad and ready for the load. Adult-friendly front and back, the Cerato hatch has enough real estate to keep four happy in terms of head, leg and knee room. That extra space comes courtesy of wheelbase which is 50mm longer than its predecessor (that makes it the same as the high-riding Sorento SUV), while it is also 10mm longer, 10mm lower and 5mm wider. There are three trim levels, S, Si and SLi. While the S derivative is Kia's play for the fleet market, those budget-conscious won't be too disappointed with the fit and finish of the entry-level model. Cloth trim and the well-designed instrument cluster makes for an easy experience behind the wheel. The dot-matrix LCD cluster (standard on S and Si) does look a somewhat dated when you compare it to the likes of Holden's touch-screen MyLink system. But the Cerato interior styling is easy to live with courtesy of well bolstered seats and good all-round vision. Push the Cerato to its limits and the compact offering shines. Despite the same outer skin, this is a dramatically different car from the one sold overseas. Suspension and steering tune amendments have delivered a hatch suited to Australian conditions - not a one size fits all approach. The steering feel is direct and sharp, and once again there are three settings - normal, sport and comfort. That functionality probably ends up becoming a gimmick once you have shown it to your friends, as normal does an impressive job of handling the bends. During a testing stint through the Gold Coast hinterland the hatch hammered through some twisties with nasty mid-corner bumps doing little to unsettle the ride. It's one well-sorted little machine. There are two four-cylinder petrol engine choices, a 1.8 in the S models and a 2.0-litre in the Si and SLi variants. The latter would be out choice with improved acceleration for overtaking prowess. Step up into Si and you get better seat trim, alloy wheels with some extra chrome exterior highlights, automatic lights, air vents in the rear seat, 11cm touch-screen, push button start and a rear view reversing camera. In the tree-topping SLi there is 17-inch alloys, leather trimmed seats which have eight-way electric control, LED running lights, steering wheel mounted paddle shifters with automatic models, sunroof, dual zone climate control air con and a cooled glovebox. 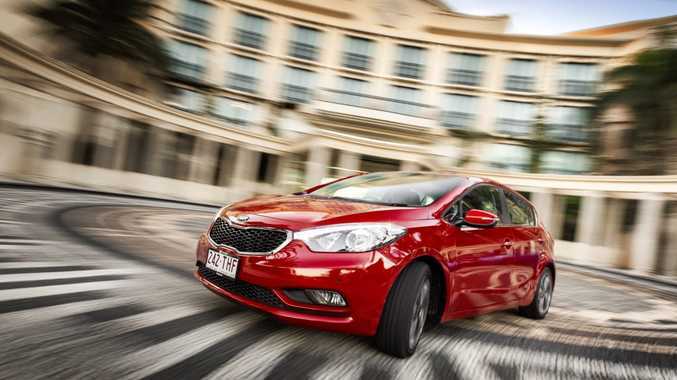 The Cerato was also awarded a five-star ANCAP safety rating with excellent all-round performance. Among the key competitors are the Holden Cruze (from $19,490), Toyota Corolla (from $19,990), Nissan Pulsar (from $18,990), Hyundai i30 (from $20,990), while there is also the Mazda3 (which has been available from $19,990 drive-away recently). The hatch trumps the sedan courtesy of five-door flexibility. There is slightly more boot space in the sedan, but drop the seats and the hatch offers greater load prowess. There are three child seat anchorage points, a large glovebox, both front doors can hold a 700ml bottle (slightly smaller in the rear), while in the console there are two cupholders behind the shifter. Servicing is capped, while both petrol engines should achieve consumption of less than eight litres for every 100km. Designer Peter Schreyer is really hitting his straps with Kia. It's no wonder sister company Hyundai is now also using his expertise. The Cerato has a true Euro feel with some wonderful lines and a broad stance at the rear. "Racing red" has also been added to the colour range. To be a key volume player in Australia you need to have a competitive small car. Kia has a cracker with the Cerato. 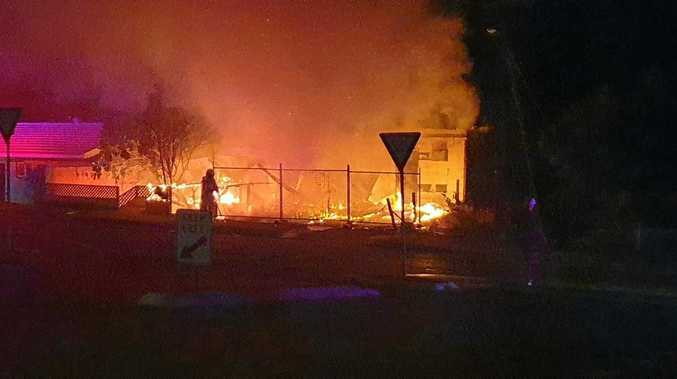 Australian-specific changes make it an adept and capable in rural and metropolitan environments. Our pick would be the Si with the larger 2.0-litre engine which offers the best blend of performance and specification. The good stuff: Euro good looks, Australian-specific suspension set-up, full size spare. What we'd like to see: Improved colour screen for S and Si models. Warranty and servicing: Five-year unlimited kilometre warranty. Servicing is annually or every 15,000km (average $365 each year, $337 for 1.8-litre model). Details: Four-door front-wheel drive small hatchback. Engines: 1.8-litre four-cylinder petrol generating maximum power of 110kW @ 6500rpm and peak torque of 178Nm @ 4700rpm; 2.0-litre four-cylinder petrol 129kW @ 6500rpm and 209Nm @ 4700rpm. Consumption: 6.6 litres/100km (1.8 manual); 7.1 (1.8 auto); 7.4 (2.0 manual and auto). CO2: 158g/km (1.8 manual); 169g/km (1.8 auto); 176 (2.0 manual); 177 (2.0 auto). Performance: 0-100kmh in 8.5 seconds (2.0-litre manual), 9.0 (2.0 auto); 9.3 (1.8 manual), 10.2 (1.8 auto). Bottom line: S $19,990, Si $23,990, SLi $27,990. Automatic is $2000 extra. Sat nav is a $1000 option on SLi.